Winemaker Sam Baxter, has always had a keen focus on the grapes in the vineyard to achieve ideal ripeness and flavor development, leading to a winemaking style marked by minimal intervention. The yield of this approach is evident in our Terra Valentine wines that reflect a sense of place while showing the intensity of mountain grown fruit and balanced elegance. 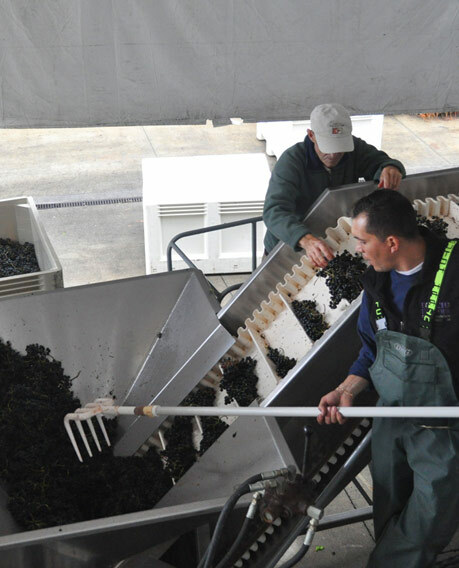 Clusters are pre-sorted prior to running through the de-stemmer. From there whole berries fall onto another sorter and go through a second sorting removing any remaining bits of stem. Grapes are then cold-soaked, fermented, and typically left on the skins for an average of three weeks. 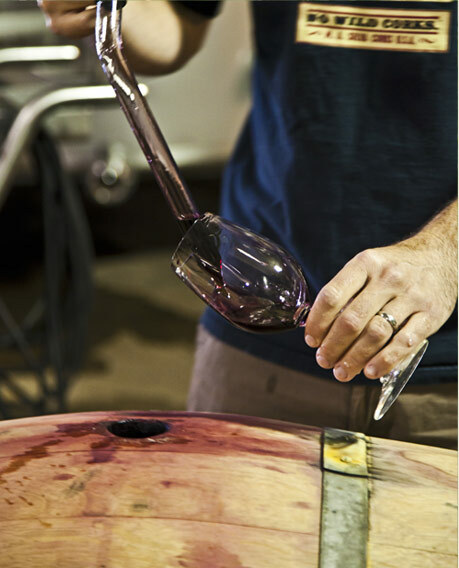 Following fermentation, the juice is drained off, settled, and loaded into French oak barrels (30-50% new) where malolactic fermentation occurs. Barrels are stored in our stone barrel cellar carved into the hillside, making natural use of the mountain’s cooler temperatures and high humidity. Terra Valentine produces a short list of white wines and a rosé to round out our portfolio. These crisp, aromatic wines are perfect for those hot summer nights and can also be enjoyed year round with lighter fare. During our vineyard development on Spring Mountain, we identified some cooler microclimates that while not well-suited for red varietals, were just the right ingredients to grow white wine grapes. We opted to plant Riesling based on our love of aromatic white wines and the track record for Riesling in the Spring Mountain District. Not your typical sweet Riesling, ours is bone dry and more Alsatian in style. The rich aromatics of our Riesling are brought forth by cold fermentation in tank, followed by ageing in neutral French oak, 300L puncheons. 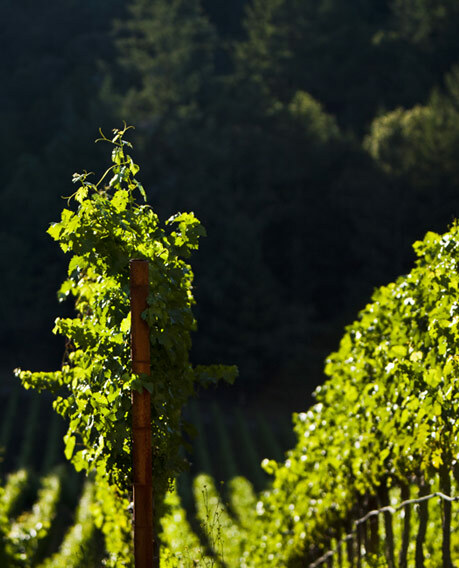 The grapes of Terra Valentine Viognier are sourced from the Sunny View Vineyard on Guerneville Road in the heart of the Russian River Valley. The small four acre vineyard was planted in 1999 and the viognier grapes enjoy cool fog that helps to retain the bright acidity and fresh aromatics in the wine. 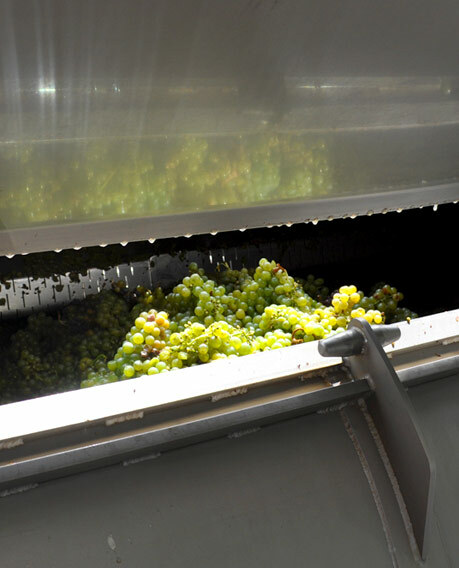 The grapes are harvested in early October and whole cluster pressed for cold fermentation in stainless steel tanks. We have been working with this vineyard since 2005 and are excited to have this wine back with the 2016 vintage after a few years of not producing it. 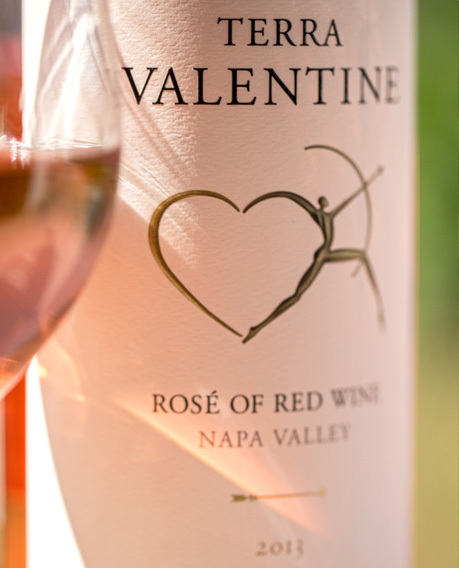 Our Napa Valley Rose is produced by the ancient technique of saignee or bleeding of the juice which is then barrel fermented dry. A blend of Sangiovese (50%) and Pinot Noir (50%), this Rose is packed with juicy red fruit balanced with bright acidity. Our winemaking team employs a meticulous process to extract the flavor and intensity of the fruit, careful to ensure that the wines reflect the sense of place where they are grown and are true to varietal character. Our Russian River Valley Pinot Noir is sourced from three premium vineyards that bring their unique character into this blend. From Freestone, Green Valley, and Olivet Lane, we source Clone 115 and Pommard Clone pinot noir. The cooler Freestone vineyard brings bright acidity and dark structure. 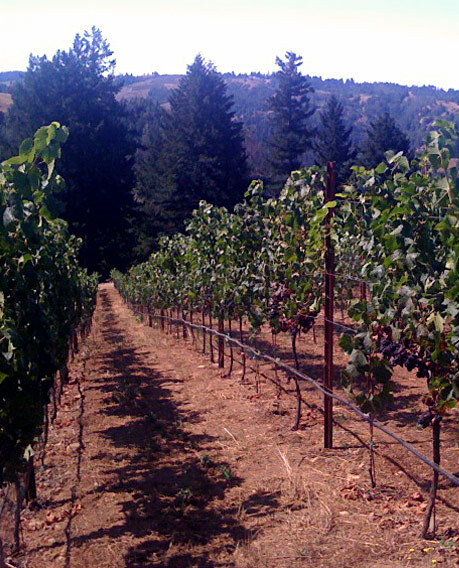 The Green Valley site offers a rich and round mid-palate and the Olivet Lane vineyard offers ripe round forward fruit. 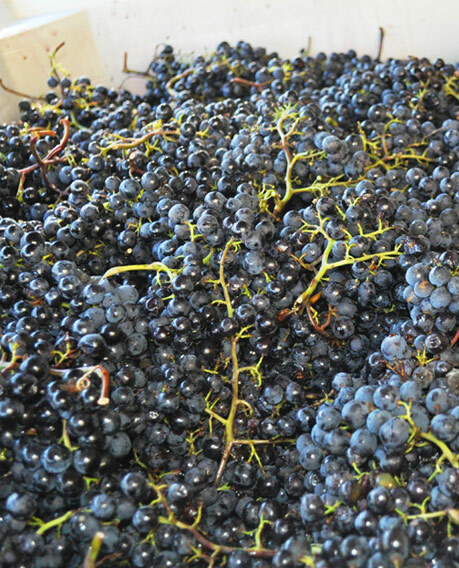 These grapes are picked in mid-October and are destemmed for a 48 hour cold soak. 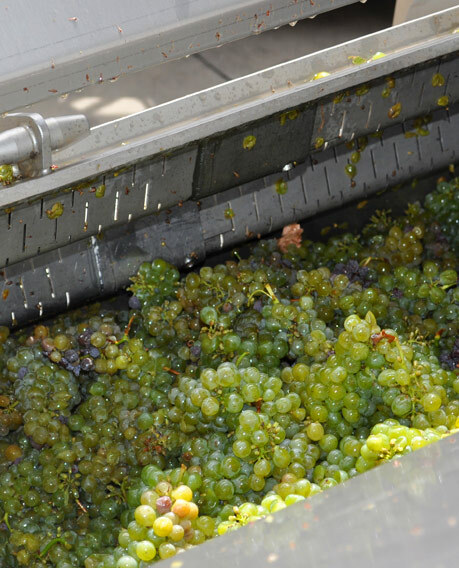 The fermentation is punched down twice daily and the maceration lasts a total of around 10 days. The free-run wine is racked to barrel and aged sur lie for eight months prior to racking. The wine is then racked clean from the lees and aged an additional 8 months before bottling. 2012 was the fifth year Terra Valentine sourced fruit from this specific vineyard site. Located at the extreme western edge of Sonoma County up on Kings Ridge that looks right onto Marcassin, Hirsch, and Red Car, this site has excellent potential with an already impressive pedigree. 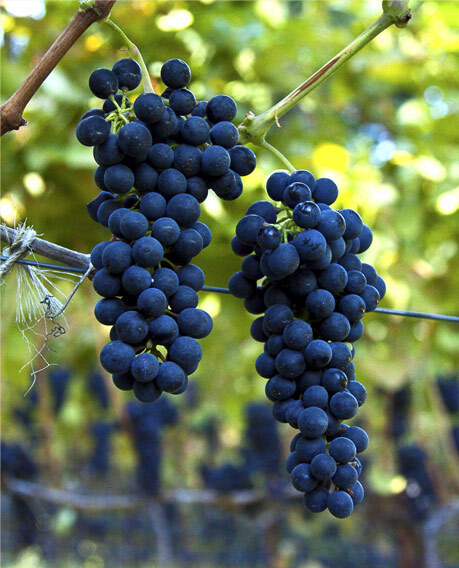 The Sonoma Coast Pinot Noir is comprised of two distinct clones, 777 and 828. Clone 777 offers intense colors and aromas with balance and round tannins. Clone 828 creates robust complex wines with good acidity. The grapes are picked in mid-September and are destemmed for a 5 day cold soak. 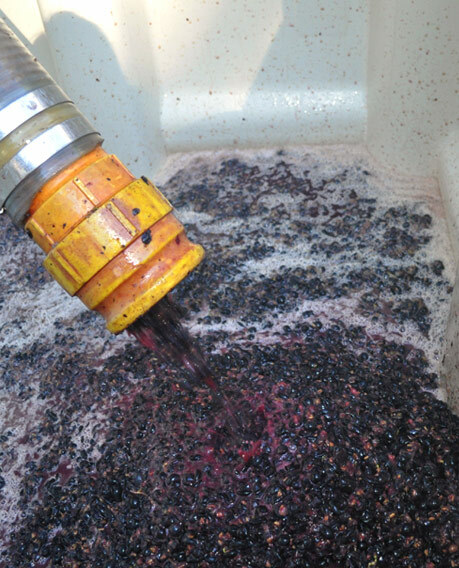 The fermentation is punched down twice daily and the maceration lasts a total of around 9 days. The free-run wine is racked to barrel and aged sur lie for 8 months prior to racking. The wine is then racked clean from the lees and aged an additional 8 months before bottling. Inspired by our love of Italian Super Tuscan Sangiovese blends, we created Amore. We source the Sangiovese from Piero Antinori’s vineyard located at 1600 feet elevation in the Atlas Peak appellation of the eastern hills of the Napa Valley. The Sangiovese gets a 5 day cold soak prior to fermentation and is punched down daily in our automated punch-down tanks. We age the wine in French Oak 300L puncheon, of which 25% are new. At the time of blending, we blend in small amounts of our estate Cabernets and Merlot to fill out the palate and create a seamless blend that showcases the bright strawberry and blueberry fruit of the Sangiovese. Cool climate Syrahs originated in the Northern Rhone Valley of France in areas like Côte-Rôtie and Hermitage. Our Syrah from the Terra Valentine Estate shares some of the spicy, gamey qualities native to the Northern Rhone, but brings the dark fruit and licorice flavors found only on Spring Mountain. Produced in very limited quantities. Spring Mountain District is well known for producing some of California’s most critically acclaimed Merlots. The bold structure and deep dark fruit found in the mountain Merlots is a stark contrast for the lighter versions from the valley floor. Our Merlot is made in very limited quantities and is reserved exclusively for our Club Valentine members. 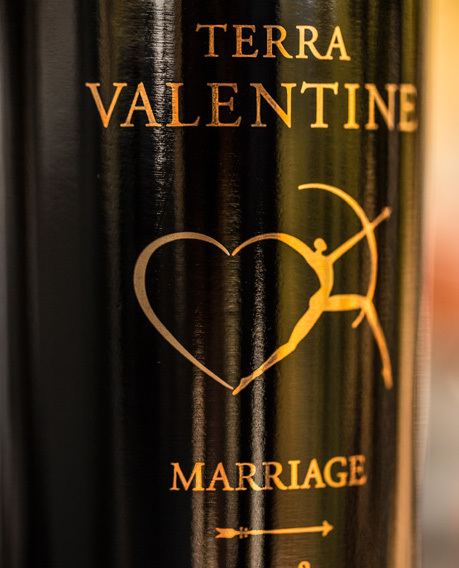 A blend of 3 clones with a touch of Cabernet Sauvignon, our Terra Valentine Estate Merlot is packed with brambly black fruit with a lush soft texture. Two blocks of Cabernet Franc were planted on the Terra Valentine Estate in 2006 to three French clones: 214, 327, and 623. These vines were planted on the warmest parts of the estate with the shallowest, rockiest soils. 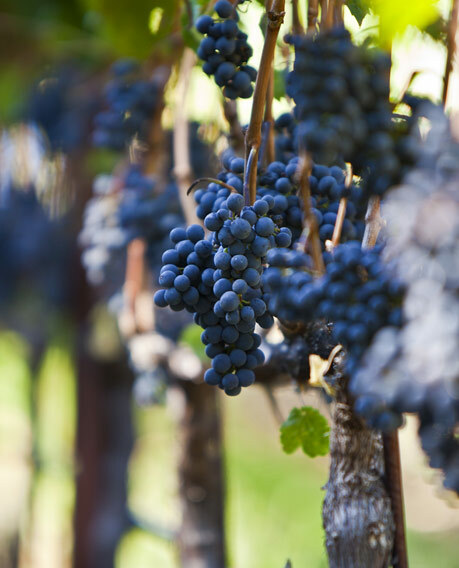 This promotes the full ripening and flavor development in the Cabernet Franc. Dusty cocoa powder aromas with earthy black fruits and black peppercorn spice dominate the aromas with dense, chewy tannins filling the palate. Our Spring Mountain District Estate Cabernet Sauvignon is the flagship wine of Terra Valentine spanning all parts of our two estate vineyards. A blend of Wurtele Vineyard Cabernet as well as Cabernet, Merlot, and Cabernet Franc from the Yverdon Vineyard, the wine shows the character of all elevations and the four soil types of our estates. 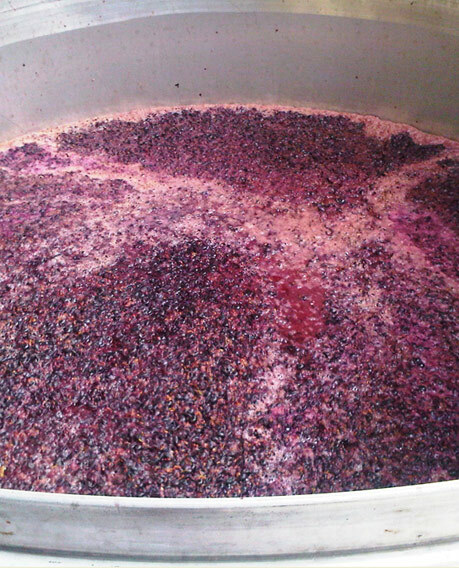 The estate fruit is de-stemmed and the whole berries cold-soaked for two days prior to fermentation. The wine spends an average of 21 days on the skins before the free-run wine is settled and racked to barrel for malolatic fermentation. The wine spends 22 months in French Oak barrels of which 35% are new which accents the trademark flavors of cocoa powder and black currant. The eight acre Yverdon vineyard on the Terra Valentine Estate was originally planted in the ’60s, and replanted in 2001 by Terra Valentine. Our Yverdon Vineyard Cabernet is sourced from this historic site in the center of the Terra Valentine Estate. 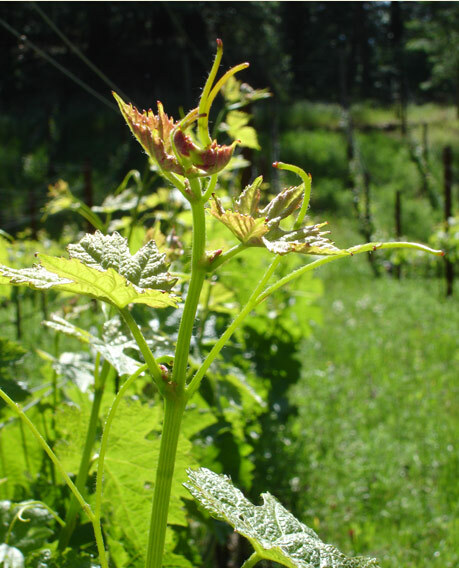 Planted to clone 4 and clone 15 cabernet, these vines experience a unique climate above the fog that brings out the dark chocolate, black licorice, and cassis flavors, balanced with elegant tannins and bright minerality. 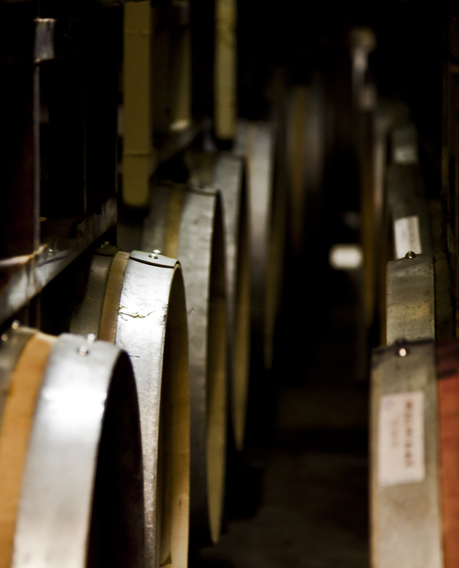 The wine spends 22 months in 45% new French oak barrels. Our Wurtele Vineyard Cabernet Sauvignon has been sourced from the same part of the estate vineyard since 1996. At the top of the estate lies a north facing slope with shallow rocky volcanic soils. 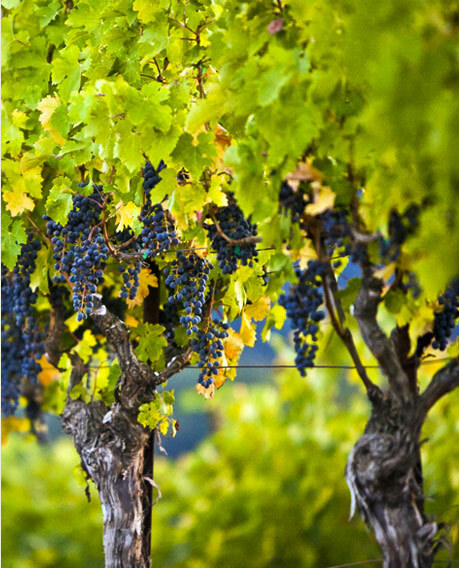 The vines on this part of the vineyard produce intensely concentrated fruit with deep color and structure. This 100% cabernet sauvignon is aged in 50% new French oak and has the structure to age gracefully for up to 20 years. Our Marriage Bordeaux blend changes every year though it is typically based on Cabernet Franc and Cabernet Sauvignon. Blended to showcase the more subtle, elegant style of Spring Mountain, this deep, rich wine has impeccable balance and richness. We select the best barrels of both of our estates to create the Marriage blend. The Marriage celebrates how Cabernet Sauvignon, Merlot, Cabernet Franc, and Petite Verdot come together in perfect union.